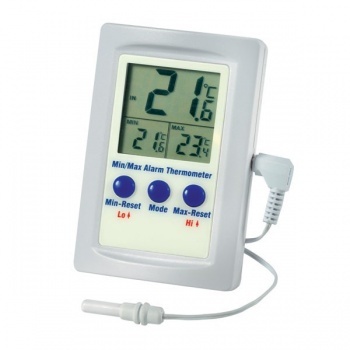 Although most commonly used to monitor the temperature of fridges our Fridge Thermometer with Max Min and Calibration Certificate can be used for a variety of applications such as monitoring room or warehouse temperatures. 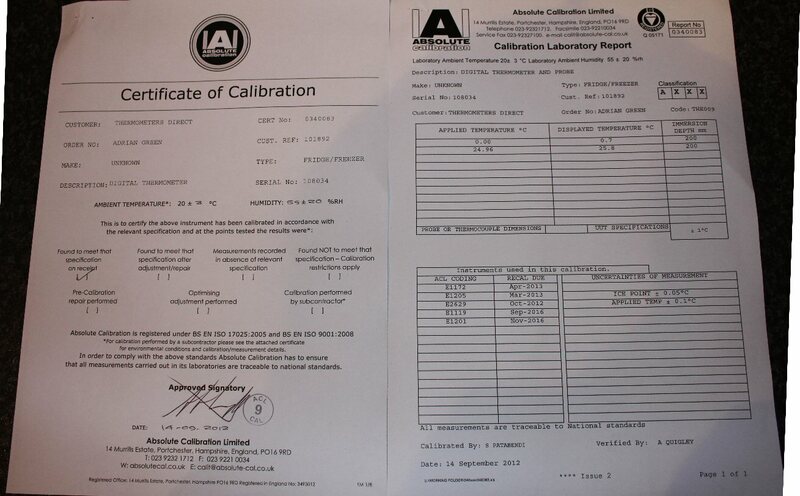 The calibration certificate will be valid for no less than 10 months. The indoor/outdoor thermometer measures the grow room (in) temperature over the range of 0 to 49.9°C using the unit's internal sensor. Utilising the remote external temperature sensor the unit measures fridge or Room temperature over the range of -49.9 to 69.9°C. Works well. Useful having the calibration certificate. Quick and great service, thank you.